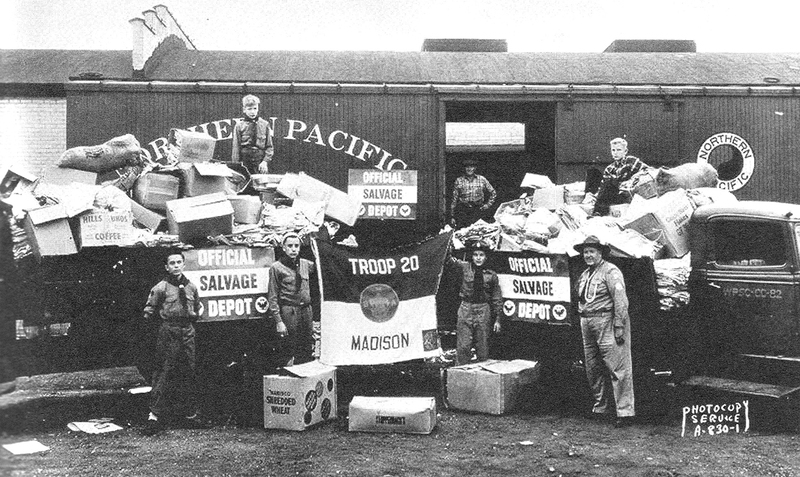 Clarence Beebe and Scouts from Troop 20 loading a railroad car as part of a World War II recycling effort. Photo taken from a history of the Four Lakes Council of Boy Scouts. Were you on the East Side during the war years of 1942-1945? What do YOU recall about life on the home front? Bring your memories and memorabilia to share. Group discussion will be led by Marvin Leitzke. During the social hour following our presentation, look for Rebecca Summer, a graduate student in the Department of Geography at UW-Madison. For her master’s thesis, she is collecting stories about people’s past and present experiences at the Garver Feed Mill. Rebecca will be at the East Side History Club meeting on September 28. Please be sure to say hello if you have a story you would be willing to share. She can also be reached at rsummer@wisc.edu. 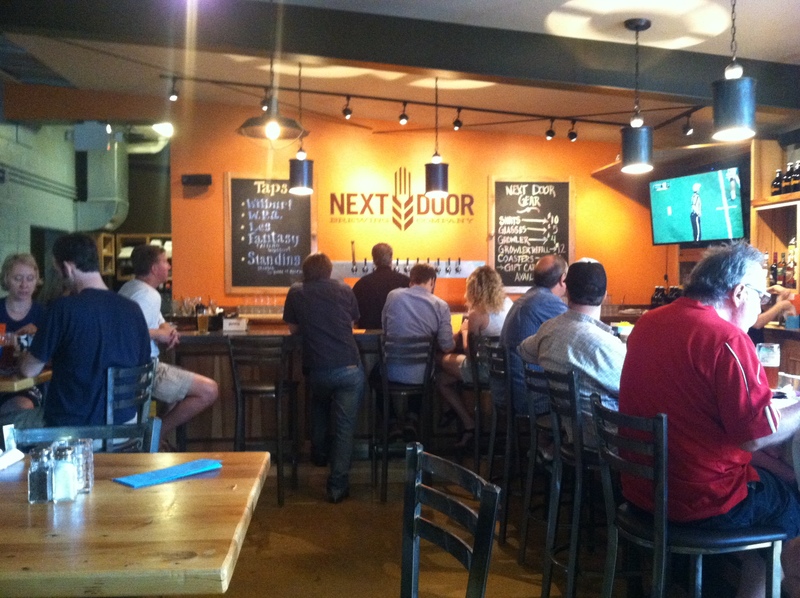 The East Side History Club’s roving reporters checked out the Next Door Brewing Company’s grand opening on Saturday, August 31. A happy crowd had already finished off the First Wort–the first batch to come off the newly installed brewing equipment–so we enjoyed pints of Wilbur (a cream ale named for Mr. Ed, the talking horse) and WPA, which stands for Wisconsin Pale Ale and is made with all Wisconsin ingredients. Delicious! 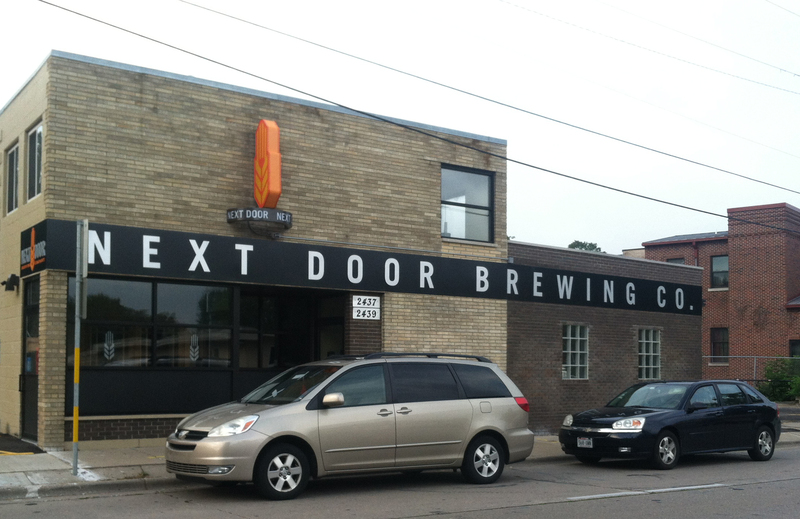 Next Door Brewing Company offers both a brewery and restaurant in the space once occupied by Appliance Service Company at 2439 Atwood Avenue. The remodeled brewpub offers a convivial environment, with tables big enough for parties of 6, 8 or more, and enough TVs to qualify as a sports bar (but their website promises that “We’ll show Badger and Packer games, a smattering of other sporting events, political debates and other important stories and events. But, primarily, our T’s will be turned off and stored in closed cabinets.”) A substantial food menu offers locally-sourced fare, much of it made in house. 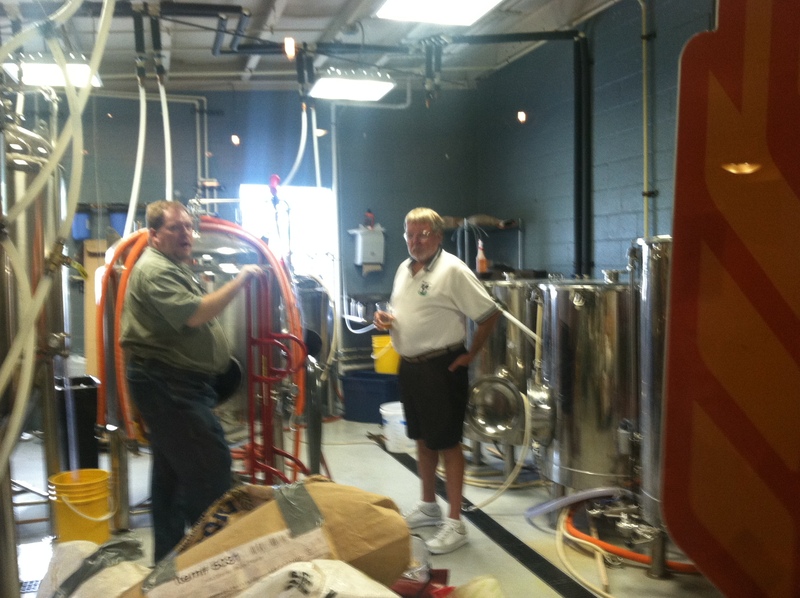 Brewer Keith Symones (left) shows his father Ken the new brew room (viewed through windows from the bar).